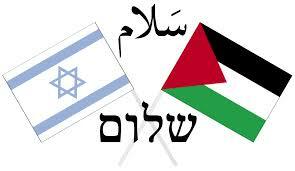 ISRAEL-PALESTINE: A THREE STATE SOLUTION? Although I am at best an agnostic, I find the biblical notion of Armageddon a fair explanation for what humanity now faces in the Middle East and elsewhere around the world. However, I don't see the annihilation of humanity as inevitable, but rather as a choice that G-d has always offered us between making life on earth either heaven or hell. Since I've had a relatively good time on this rare green orb and would like our children to have the option of doing the same, let me make a modest proposal for achieving peace in the Middle East. While one has heard a great deal about a "two-state solution" to the Israeli-Palestinian conflict, that never seems to go anywhere, I think a three-state solution would be more appropriate: one state for crazy Palestinians; one state for crazy Jews; and the third far large state for the vast majority of Arabs and Jews who can live together in peace, salaam, or shalom. When the anachronistic interests of Arab monarchies coupled with Western oil hungry neo-colonists- who remain oblivious to global warming- is taken out of the picture, an equitable solution for all concerned is more than possible. For those Jews and Arabs that want to continue threatening the majority on both sides that want peace, I would offer a solution suggested by the tongue in cheek 1965 Italian film, The 10th Victim, starring Marcello Mastroanni. In it, a bellicose socially destabilizing minority bent on destruction are allowed to make a financially incentivized war game among themselves, where the first to kill 10 others playing the game wins- the rest of their society is left in peace. Although Israel-Palestine is small, we might set aside a piece of presently desolate land in the Negev desert where these testosterone driven games might take place in a more unobtrusive manner. Clearly the television ratings would be awesome, but at the very least, it might weed out some of the more violent tendencies from the respective Israeli and Palestinian gene pools. The Balfour Declaration of 1917, which first put forth the notion of a Jewish homeland in the Middle East, was not signed and implemented by the British because they loved Jews. It was done as yet another example of long successful British foreign policy implemented throughout the empire to create dissension in local populations, so that the British could get rich over centuries on colonial exploitation of other people's wealth. In India, the Brits played the Hindus and the Muslims off against each other and got rich from 1858-1947. And let's not forget that the English were the first to expel all their Jews in 1290, long before the then newly unified Spain did the same in 1492- could this historical insecurity be why zionists sought the formation of Israel in the first place? There is a certain irony about the present Israel-Palestinian conflict in that the only time in recorded Jewish history, since the diaspora, that Jews have had sustained security was living as people of the book as another Abrahamic monotheist people under Islamic states of the past. Palestinians are not responsible for the antisemitism used to unify Germany in 1870 or the failure of Russian governments under Czars Alexander III and Nicolas II to deal with their people without scapegoating the Jews by sanctioning pogroms, which ultimately created the fertile soil in which Hitler implemented the final solution. This has understandably created the "never again" mantra among Israeli Jews and amplified by AIPAC, which equates questioning anything Israel does as being antisemitically motivated. When all is said and done, this serves to sanction Israeli actions that remarkably mirror the denial of civil rights that Jews experienced Russia, where they too were not allowed to own land. The real reason Israel is terrified in giving Palestinians their right to self-determination and a state of their own, which is never addressed in the war of words, is because of mere demographics. Israeli fears that they would become a minority in their own country, since Palestinian birth rates far outstrip Israel's. No one has bothered to point out to the Israelis that a high birthrate, whether among Palestinians or their own initially poor and uneducated Oriental Jewish population from North Africa, could be turned around as they did in one generation with these Oriental Jews. When I lived in France during the 1980s and 1990s, France had approximately 400,000 Portuguese immigrants living in the country. While poor Portugal had one of the highest birthrates in Europe, France actually had a negative population growth and had to offer tax incentives to maintain its population. Within one generation, a fully integrated French-Portuguese population had exactly the same population at indigenous French- it's all about education and social integration. Who is better equipped than Israel to implement this final solution of the Palestinian problem? To deflect criticism, Israel has always used the old saw, "We wont negotiate with terrorists," who don't recognize Israel's right to exist. But Israel obfuscation and failure to negotiate in good faith with Palestinians, while continuing to annex Palestinian land in the West Bank and elsewhere is a tangible example to Palestinians of Israeli's failure to recognize Palestinians right to exist. One must not forget that the world would have forgotten Israeli's struggle for independence from the British Mandate, that excluded the entry into Palestine after WWII of holocaust survivors, until the Irgun and the Stern Gang terrorists blew up the King David Hotel and killed 91 people. Has Israel, like the British before them, offered the Palestinians an alternative to terrorism? There are approximately 1.5 million Palestinians living in Gaza, which is looking more and more like the Warsaw Ghetto under siege by the Nazis during WWII. One must wonder what the Jews will do when the overstressed acquifer that supplies Gaza ultimately gives out in the next few years? - with more arable land, might there be a greater possibility of creating viable and secure Israeli and Palestinian states living in peace? Maybe the Jewish concept of messiah does not refer to a person, but rather an ah ha moment where after doing the same thing for millenia, humanity finally gets it. G-d keeps raising the ante by giving us bigger and more destructive weapons with which to annihilate ourselves to see if we will finally learn a simple lesson of peaceful resolution of conflict as a prerequisite for our continued survival. Earth can either be heaven or hell and man has the free will to determine which it will be. Aunque estoy en el mejor de un agnóstico , creo que la noción bíblica de Armagedón una explicación razonable para lo que la humanidad se enfrenta ahora en el Medio Oriente y otras partes del mundo . Sin embargo , no veo la aniquilación de la humanidad como algo inevitable , sino como una elección que Dios siempre nos ha ofrecido entre hacer la vida en la tierra el cielo o el infierno. Desde que he tenido un relativo buen tiempo en esta rara orbe verde y me gustaría que nuestros hijos tienen la opción de hacer lo mismo , permítanme hacer una modesta propuesta para lograr la paz en el Medio Oriente . Mientras que se ha escuchado mucho sobre una "solución de dos estados " al conflicto palestino-israelí, que nunca parece ir a ninguna parte , creo que una solución de tres estados sería más apropiado : un Estado para los palestinos locos ; un Estado para Judios locos , y el tercer estado lejos grande para la gran mayoría de los árabes y los Judios que pueden vivir juntos en paz , zalema , o shalom . Cuando los intereses anacrónicas de las monarquías árabes acompañados de aceite de Western hambre neo- colonizadores - que permanecen ajenos a - es el calentamiento global de toma de la imagen, una solución equitativa para todos los interesados ​​es más que posible . Para los Judios y árabes que quieren seguir amenazando a la mayoría en ambos lados que quieren la paz , me gustaría ofrecer una solución sugerida por la lengua en la mejilla 1.965 de cine italiano , La 10 ª Víctima, protagonizada por Marcello Mastroanni . En ella, un belicoso doblada minoría socialmente desestabilizador sobre la destrucción se les permite hacer un juego de guerra incentivada económicamente entre sí, donde el primero en matar a otros 10 en el juego gana - el resto de la sociedad se deja en paz. Aunque Israel - Palestina es pequeña , puede ser que a un lado de un pedazo de tierra que actualmente desolado en el desierto de Negev , donde estos juegos testosterona impulsada podrían llevarse a cabo de una manera más discreta. Es evidente que los ratings de televisión sería impresionante , pero por lo menos , podría eliminar a algunas de las tendencias más violentas de los respectivos bancos de genes de Israel y Palestina . La Declaración Balfour de 1917, que primero extendió la idea de una patria judía en el Medio Oriente , no fue firmado y ejecutado por los británicos porque amaban Judios . Fue hecho como un ejemplo más de la política exterior de largo éxito británico en práctica a través del imperio para crear disensión en las poblaciones locales , por lo que los británicos podían hacerse rico durante siglos en la explotación colonial de la riqueza de los demás. En la India, los británicos jugaron los hindúes y los musulmanes se enfrenten entre sí y se hicieron ricos 1.858-1.947 . Y no nos olvidemos de que el Inglés fueron los primeros en expulsar a todos los Judios en 1290 , mucho antes de que el entonces recién unificada España hizo lo mismo en 1492 - podría esta inseguridad histórica ser por qué los sionistas buscaban la formación de Israel en el primer lugar? Hay una cierta ironía en el actual conflicto entre Israel y Palestina en que la única vez en la historia judía grabada, desde la diáspora , que Judios han tenido la seguridad sostenida vivía como gente del libro como otro pueblo monoteístas abrahámicas bajo estados islámicos del pasado . Los palestinos no son responsables del antisemitismo utilizado para unificar Alemania en 1870 o el fracaso de los gobiernos de Rusia bajo los zares Alejandro III y Nicolás II para hacer frente a su gente sin chivos expiatorios a los Judios por los pogroms de sanción , que en última instancia, crean el terreno fértil en el que Hitler implementó el solución final. Esto ha creado comprensible el mantra "nunca más" entre los Judios de Israel y amplificada por el AIPAC , que equivale cuestionar cualquier cosa que Israel hace como motivado antisemitically . Cuando todo está dicho y hecho, esto sirve para sancionar las acciones israelíes que muy reflejan la negación de los derechos civiles que Judios experimentado Rusia, donde tampoco se les permitió poseer tierras . La verdadera razón de Israel está aterrorizado en dar a los palestinos su derecho a la libre determinación ya un Estado propio , que nunca se abordó en la guerra de las palabras, se debe a que de los simples datos demográficos . Temores israelíes que iban a convertirse en una minoría en su propio país , ya que las tasas de natalidad palestinos superan en mucho a Israel . Nadie se ha molestado en señalar a los israelíes de que una alta tasa de natalidad , ya sea entre los palestinos o de su propia población judía Oriental inicialmente pobres y sin educación desde el norte de África, podría dar la vuelta como lo hicieron en una generación con estos Judios orientales. Cuando vivía en Francia durante los años 1980 y 1990 , Francia contaba con aproximadamente 400.000 inmigrantes portugueses que viven en el país. Aunque pobre Portugal tenía una de las más altas tasas de natalidad en Europa, Francia en realidad tenía un crecimiento negativo de la población y tuvieron que ofrecer incentivos fiscales para mantener su población. Dentro de una generación , una población - Francés Portugués totalmente integrado tenía exactamente la misma población indígena en francés - se trata de la educación y la integración social. ¿Quién está mejor equipado que Israel de esa solución final del problema palestino? Para desviar las críticas , Israel siempre ha utilizado el viejo dicho , " No vamos a negociar con terroristas", que no reconocen el derecho de Israel a existir. Pero Israel ofuscación y el fracaso de negociar de buena fe con los palestinos , sin dejar de anexionar tierras palestinas en la Ribera Occidental y en otras partes es un ejemplo tangible para los palestinos del fracaso de Israel a reconocer los palestinos el derecho a existir . No hay que olvidar que el mundo habría olvidado la lucha de Israel por la independencia del mandato británico , que excluía a la entrada en Palestina después de la Segunda Guerra Mundial de los sobrevivientes del Holocausto , hasta que el Irgun y los terroristas Banda Stern volaron el Hotel Rey David y mataron a 91 personas. Ha Israel , al igual que los británicos antes que ellos , se ofreció a los palestinos una alternativa al terrorismo? Hay aproximadamente 1,5 millones de palestinos que viven en Gaza , que se parece cada vez más como el gueto de Varsovia sitiada por los nazis durante la Segunda Guerra Mundial . Uno debe preguntarse lo que los Judios lo harán cuando el acuífero que abastece overstressed Gaza da a cabo en última instancia, en los próximos años ? - Con más tierra cultivable , ¿podría haber una mayor posibilidad de crear estados de Israel y Palestina viables y seguras que viva en paz ? Tal vez el concepto judío del Mesías no se refiere a una persona, sino más bien un momento ha ah donde después de hacer lo mismo desde hace milenios , la humanidad finalmente lo consigue. Di-s sigue elevando la apuesta por darnos armas más grandes y más violentas con las que aniquilar a nosotros mismos para ver si vamos a aprender por fin una simple lección de la resolución pacífica de los conflictos , como requisito previo para nuestra supervivencia continuada . Tierra puede ser el cielo o el infierno y el hombre tiene el libre albedrío para determinar cuál será. ‹ UTLA ELECTIONS- REAL CHANGE OR THE USUAL SUSPECTS?